Russian companies are among the world leaders in using social media as more than half of them apply social networks for business purposes. On average about four out of ten companies around the globe use social media for business, according to a report prepared by Grant Thornton consultancy. The head of 2700 companies were interviewed in 39 countries. Mexico tops the list with 80% of companies using social networks, next come India (64%), The Netherlands (56%) and Russia. Meanwhile companies in Botswana (14%), France (24%) and Hong Kong (24%) are rare guests in social networks. “The results are fascinating. They show businesses in emerging markets embracing social media much faster than their peers in mature markets” according to Mark Henshaw, head of media and entertainment at Grant Thornton UK.“They appear to have much more faith in the impact that an active social media presence can have on their relationships with clients and ultimately on their bottom line”, he added. 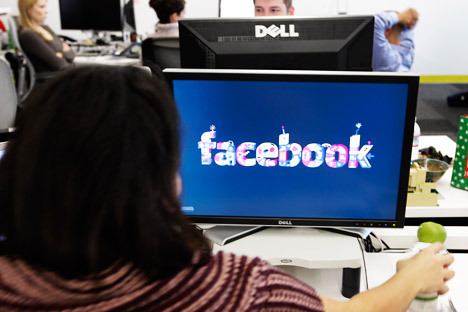 As for Russia, a fifth of companies launch pages in social networks for advertising. However, only about half of those use social networks to communicate with clients; the world average is more like a quarter says the report. “We have accounts in the most popular social networks as well as online-store applications for facebook. This year the amount of subscribers doubled”, said Anton Panteleev, PR manager of retailer MVideo. “Our target is communication with customers: we provide contests, customer feedback etc. We also plan to integrate social media with online stores by 2015 and increase online sales by up to 30%”. But Russian companies don’t trust social media enough when it comes to staff recruitment: only 13% use Facebook and other networks for head hunting. While 30% of American and 17% of Chinese companies use it. Also only 6% of Russian bosses talk to their staff through social networks.